Part of what makes any landscape more beautiful are flowers. Unfortunately, many flower varieties are too fragile to withstand the kind of drought conditions that are currently a fact of life here in Austin and across much of the United States. 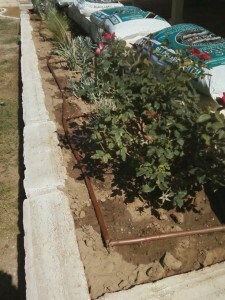 But it’s still possible to add color to your landscape, especially if you choose low-water use annuals and perennials. Here are some tips you can use to keep your blooms happy and healthy, even these water-tight times. Loosen soil to a depth of 12 inches. Central Texas soil has a high concentration of clay, so adding three inches of compost on the surface and tilling it to a 12-inch depth is advisable. Look for annuals or perennials with gray or silver foliage as they are the most drought-tolerant. Apply one to two inches of mulch between flowers to avoid evaporation and control the growth of water-stealing weeds. With perennials, this can be permanent mulch like wood chips. 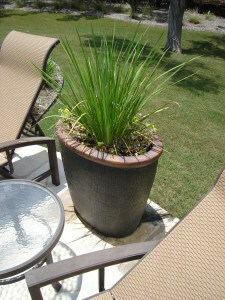 With annual flowers, use dried grass clippings. Water your flowers in the evening after 7 or 8PM or early in the morning between 5 and 9 AM to minimize evaporation. If you only allowed to run your irrigation system once a week, alternate between using soaker hoses or drip emitters one day and hand-watering when it’s time to irrigate again. You can irrigate annuals and perennials twice a week if you’ve mulched your plants and water them deeply at each application. Be aware that some flowers will bloom less when you give them less water. At South Austin Irrigation Repair, we know that working with water restrictions can be a challenge. But we also believe that it’s still possible to have and maintain a beautiful landscape despite current drought conditions. When you need irrigation system repairs, service or advice, we have the solutions for you! Drought is the watchword in Texas, especially if you want to create or redo a landscape. Less available water means looking for ways to make an outdoor environment beautiful with plants that aren’t as thirsty as others. This shrub is native to the Trans-Pecos area of the state and is typically found in limestone outcrops and canyon areas. Salvia comes in a wide variety of colors including white, pink and red, as fragrant leaves and flowers that bloom all summer long and into the fall. Known for its beautiful blue-purple blooms, this perennial plant can grow to about two feet in height. Gray-green, lance-shaped leaves are numerous, especially in the lower portion of the plant. While lantana is native to South America, it has become a “naturalized” part of the Texas landscape. It makes an excellent ground cover, area growing low and spreading year after year. It comes in white, green, yellow and purple, but a more upright variety comes in pink and orange. This is a shrub is that can grow to six feet in height. 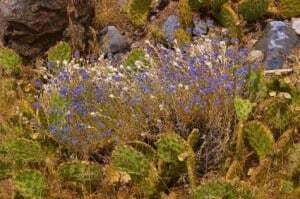 It has silvery-green leaves and beautiful lavender flowers. Its peak blooming time during the spring and summer. This perennial produces beautiful red flowers that look like partially-opened roses. Its foliage is deep green and the plant itself can grow up to four feet tall. All five of these plants (except the Turk’s cap, which can also grow in shade) need full sunlight. They’re also colorful, grow well with each other and are deer-resistant. At South Austin Irrigation, we understand that part of what makes for a successful landscape is the choice of plants that go into creating it. We also know that the great irrigation system is also essential. When only expert service will do, contact us! 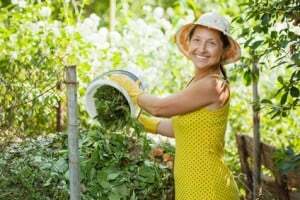 If you’re looking for an environmentally friendly way to condition the soil in your yard or garden, then you should consider creating a compost pile. Mulching with compost moderates soil temperature, retains moisture, provides nutrients for plants and helps your greenery become healthier and better-prepared to ward of attacks from diseases and pests. You may opt instead to purchase a compost bin. These containers take the messiness out of composting and make compost-turning easier. They also increase the heat inside the actual pile which in turn speeds the decomposition process. The only drawback is the expense that can be associated with them. Start the pile itself on bare ground to improve air circulation and to allow microbes access to the pile. Then put down a 6-inch layer of a combination of greens and browns. The next layer should consist of fertilizer, which can be in the form of animal–but not dog or cat–manure.The final layer should consist of non-chemically treated garden soil to introduce more microbes into the pile. Water each layer as you go, then monitor the temperature of the pile itself, which should be no less than 90°F and no more than 135°F. You’ll also need to turn the pile every 5 to 6 weeks. The pile itself should be ready in 3 to 4 months–just in time for the Texas fall planting season! At South Austin Irrigation, we know that keeping your yard, lawn or garden healthy isn’t just a matter of keeping it well-watered. Soil maintenance is important, too. But when your irrigation equipment needs repair, we provide the advice and service your need to make your landscape the best that it can be. 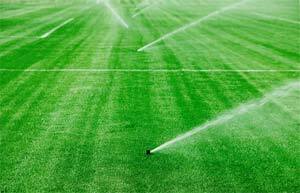 When you need irrigation experts, contact us!